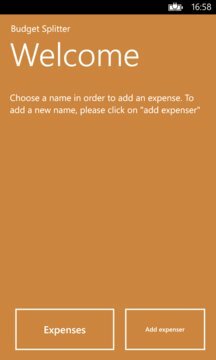 Simple app to keep track of the expenses that everybody has made, for example during a travel. The expenses that where made for everybody are entered and saved to a list. At the end everybody knows how much they spent for the community and split the costs.